A healthy set of teeth and gums will let you enjoy more food for many years. Proper dental care involves more than just brushing your teeth regularly. To keep your teeth healthy, you need to make the following a habit. Brushing and Flossing Regularly. Ideally, you should brush your teeth twice and floss once daily. Do this in the morning and then before bedtime. Flossing is done to clean hard to reach places. Rinsing with mouthwash will prevent bacteria from spreading as well. Tongue Cleaning. Use a tongue-cleaner/scraper or soft toothbrush to clean your tongue. Brush lightly to avoid damaging the buds. Cleaning your tongue prevents bad breath caused by buildup of bacteria trapped in a layer of mucus. Avoid Smoking. If you haven’t tried smoking, don’t start. Smoking can cause health problems like gum diseases, discoloration of teeth, bad breath and oral cancer. Avoid Too Much Sugar. Too much sugar in your mouth will help spread plaque. It is difficult to avoid food with sugar content but try to eat in moderation. Avoid Using Your Teeth. Your teeth is for chewing food, not for other activities like opening bottles or holding objects. Your teeth could chip or break if you’re not careful. It is also advisable to wear a mouthguard when playing sports to avoid injuries. Don’t Brush Right Away. Some food contain citric acid. Brushing your teeth right after you eat such food can damage the enamel, the layer that covers the outer part of a tooth. Some doctors advice to wait for 30 minutes before brushing your teeth. For Sensitive Teeth. If you have sensitive teeth, use a toothpaste with a special formula. 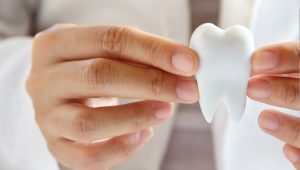 Sometimes sensitive teeth can be a sign of other problems like tooth decay, gingivitis or gum disease and broken teeth. Avoid Canker Sores. Canker sores are painful sores or ulcers inside your mouth. They can appear on your tongue or inside the cheeks. You can prevent them from appearing by practicing proper dental hygiene, proper hydration and avoiding food that can irritate your mouth. Care For Baby Teeth. 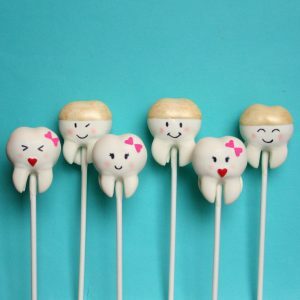 If you have kids, teach them proper dental care by brushing and eating healthy food. Baby teeth or primary teeth will eventually shed as they grow older. Monitor permanent teeth when they erupt through regular dental check-ups. Dentures, Implants and Piercings. Clean your dentures with a denture cleaner and not with toothpaste. Handle them with care to avoid damage. Dental implants require professional cleaning thrice a year. If you have oral piercings, keep them clean by removing then brushing them separately. Regular Dental Check-ups. Teeth cleaning or prophylaxis should be done twice a year to prevent plaque and tartar from building up. They cannot be removed completely by brushing alone. Check-ups will also determine if you need dental filling, extraction or other remedies.